Foreigner will record their forthcoming album, “The Hits Unplugged And Live”, at a private event benefitting JDRF (formally known as Juvenile Diabetes Research Foundation) on August 24 at The Ford Motor Company Conference and Event Center in Dearborn, Michigan. Foreigner is donating their performance that evening and their royalties from the record – which will released in early 2016 – to JDRF. JDRF is the leading global organization focused on type 1 diabetes (T1D) research. As the largest charitable supporter of T1D research, JDRF has invested nearly $2B in research over the past 45 years and is sponsoring scientific research in 17 countries worldwide. 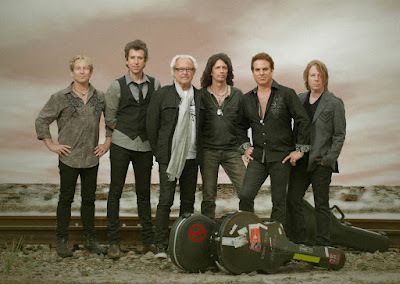 Foreigner will perform a 1-hour set at the August 24 event which will also feature an auction of memorabilia from the band. Limited tickets to this event are available by contacting ford@jdrf.org or 313-248-1655. Foreigner are currently playing US dates with Kid Rock.